Blonde highlights can liven up dull-looking block color and give the appearance of texture, volume and shine. If your highlights are too light in contrast to an overall darker hair color, or have become brassy-looking over time, you may wish to tone down the brightness by using hair toner. Hair toner is a semi-permanent hair colorant that helps correct unwanted shades of hair color, such as bright orange hues. 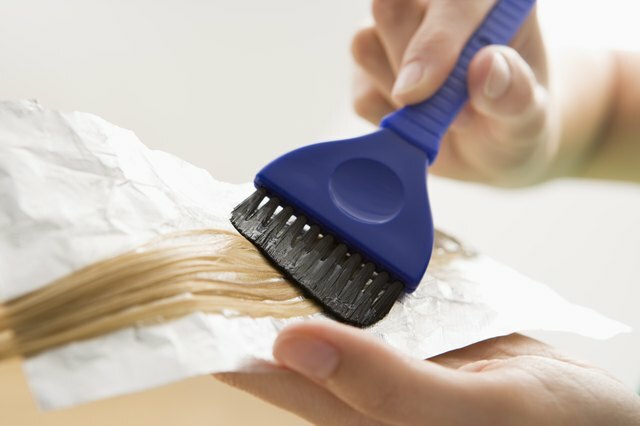 Toners deposit color, and do not remove color from the hair because they do not contain peroxide or ammonia. To neutralize bright blonde highlights, choose an ash toner that is either blue-based or green-based and in a shade that is close to your natural hair color . Brush hair to remove tangles. Wet hair, then wrap it in a towel and gently pat to absorb excess moisture. Remove towel and comb hair by using a wide-toothed comb. Wear latex gloves. Prepare the hair toner according to its package instructions. Section hair into four equal parts. Use a new, clean toothbrush to apply toner to the roots of the hair, then massage toner in a downward direction through to the hair ends. Allow toner to develop according to the length of time that is recommended by the manufacturer. 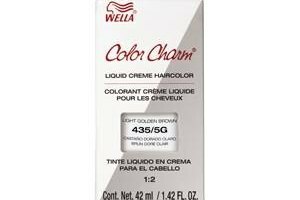 Rinse hair and then massage in a shampoo that is recommended for color-treated hair. Rinse thoroughly.